CoastAdapt is an information delivery and decision support framework. It is for anyone with an interest in Australia’s coast, the risks it faces from climate change and sea-level rise, and what can be done to respond to those risks. CoastAdapt contains information and guidance to help people from all walks of life understand climate change and the responses available to manage the impacts. Although there is a focus on Australia’s coastal regions, CoastAdapt also links the user to climate change resources on the NCCARF website and beyond that are relevant to Australia more broadly. CoastAdapt is a national resource for all Australians. But because we recognise that approaches to coastal planning differ across state-level jurisdictions, we include state-specific information on regulatory and legislative requirements as well as data availability. NCCARF 2017: Climate change and sea-level rise based on observed data. National Climate Change Adaptation Research Facility, Gold Coast. Available from: https://coastadapt.com.au/climate-change-and-sea-level-rise-based-observed-data. Accessed 30 January 2017. Where external authors have written material, their contribution is acknowledged and a citation is provided. We welcome feedback on CoastAdapt – there is a feedback tab on the right hand margin of every webpage. If you want to email a query, please use nccarf@griffith.edu.au. be illustrated with practical case studies. The goal was therefore to produce a tool to support coastal decision-makers and managers in Australia, especially but not exclusively in local councils, to understand their risks from climate change and sea-level rise, and to take action to address those risks. 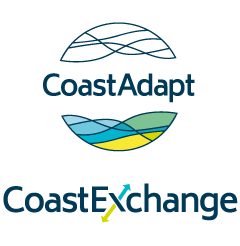 In time, the tool became known as CoastAdapt and its scope has evolved in response to suggestions and comments from potential users. CoastAdapt now contains a wealth of information and guidance that makes it a valuable resource for end users across Australia, not only in coastal regions. CoastAdapt not only contains information for coastal managers, but also for educators and students, as well as individuals and households, seeking information about climate change and sea-level rise. The need to provide online support to adaptors is widely recognised, and CoastAdapt builds on work by groups based in Australia and overseas, including AdaptWater (Sydney Water), the US Climate Resilience Toolkit (NOAA) and the Adaptation Wizard (UKCIP). NCCARF owes a debt of gratitude to these groups for the inspiration and guidance they provided for CoastAdapt. At its simplest: webpages containing information about climate change, its impacts and response options. A complete and comprehensive decision support framework designed to support adaptation planning and decision-making about all climate change related risks on the Australian coast. This is called Coastal Climate Adaptation Decision Support or C-CADS. A set of ten Information Manuals that provide the technical underpinning for CoastAdapt. The Manuals cover in detail ten topics important for adaptation, ranging from engineering options through to community engagement. Infographics to convey key adaptation topics in visually engaging and appealing formats. An ever-increasing number of case studies, illustrating the actions being taken to respond to climate change and sea-level rise in Australia and overseas. Impact sheets that describe the impacts of climate change for a wide range of sectors. Templates and checklists to support risk assessment and management, and adaptation planning and implementation. For example,coastal managers frequently hire-in project support, and CoastAdapt contains information and checklists for working with consultants. Data about the present and future condition of the Australian coast and its climate, including sea-level rise projections, inundation maps and information about the erodibility of the coast. CoastAdapt contains a glossary of terms that can be accessed here. Navigating through these areas can be daunting at first. To help people get used to finding their way around, we provide a ‘Getting Started’ guide, which can be accessed from the home page. Skimmer text: A headline statement providing a brief overview of the topic in 1-2 sentences. Wader text: A 4-5 dot point summary. Diver text: Detailed in-depth description or guidance that may extend to several printed pages. school, college and university students. The content and design of CoastAdapt are based on extensive consultation with potential users at all stages of design and build, using a mix of workshops across Australia, and on-line surveys. The Project Review Committee, with representation from each state and territory government, the Australian Local Government Association and business, endorsed CoastAdapt. The Department of the Environment and Energy was an observer on this body. The End User Reference Group included representatives from local governments across Australia as well as business associations. The Technical Reference Group, made up of experts on all aspects of adaptation, provided NCCARF with technical advice on CoastAdapt. NCCARF also constituted the Tool Development and Tool Implementation Partnerships, made up of potential CoastAdapt users drawn from across Australia, and representing local councils, local government associations and small business. The Partnerships supported NCCARF with practical advice, support and review, as well as contributing content to CoastAdapt. We thank the members of all these groups for their unflagging support, optimism and belief in the value of CoastAdapt. How is the coast described in CoastAdapt? 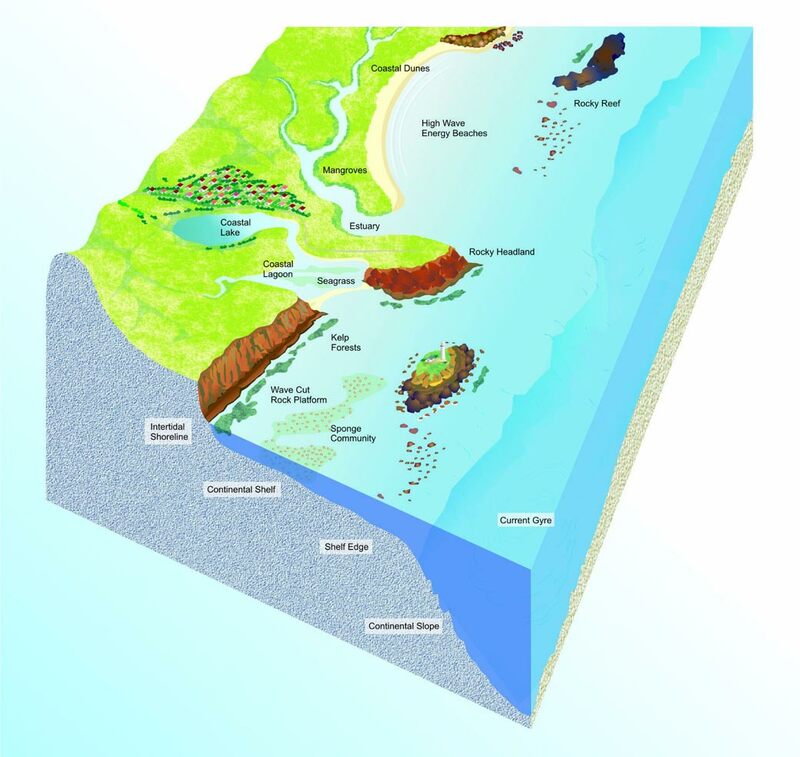 For the purposes of CoastAdapt (see Figure 1), the coastal zone is taken to include the foreshore and near-shore zone, and the coastal region that is likely to be affected by sea-level rise and marine-related climate change (storm surge and exposure to storms tracking inland from the sea). This includes the region adjacent to the coastline itself and estuaries, which may be affected by processes such as riverine flooding. This description is flexible and can be aligned with definitions of coastal zones used in the states and Northern Territory. By using this broad description, it is possible to consider integrated solutions to climate change and sea-level rise, to respond to multiple and coincident climate-driven events, and to ensure that unintended consequences do not arise from risk management. CoastAdapt was designed, developed and delivered by the NCCARF team: Jean Palutikof; David Rissik; Steven Webb; Fahim Tonmoy; Sarah Boulter; Anne Leitch; Ana Perez Vidaurre; Kim Wilson; Marilee Campbell. NCCARF would like to extend sincere thanks to the hundreds of individuals and organisations who gave feedback on CoastAdapt through our online forum, user experience surveys, review and consultation workshops and test cases. Without your contributions, CoastAdapt wouldn't be as user-friendly and comprehensive as it is today. Mark Baker-Jones (Dibbs-Barker), Hillary Bambrick (Western Sydney University), Zsuzsa Banhalmi-Zakar (Griffith University), Matthew Barnes (BMT WBM), Emilie Barton (Dibbs-Barker), Susanne Becken (Griffith University), Justine Bell-James (University of Queensland), Robyn Birkett (Mackay Regional Council), Sarah Boulter (NCCARF), Mara Bun (Green Cross), Donovan Burton (Climate Planning), Marilee Campbell (NCCARF), Timothy Capon (CSIRO), Sam Capon (Griffith University), Andreas Chai (Griffith University), Jane Chambers (Murdoch University), Lynda Chambers (BOM), John Church (CSIRO), John Clarke (CSIRO), Lisette Collins (University of Sydney), Rod Connolly (Griffith University), Lisa Davey (BMT WBM), Peter Davies (Macquarie University), Jon Doole (Kingborough Council), Ian Edwards (Griffith University), Matt Elliott (Damara Pty Ltd), Tim Erwin (CSIRO), Greg Fisk (BMT), Chris Fleming (Griffith University), Mark Gibbs (Queensland University of Technology), Greg Giles (Lake Macquarie City Council), William Glamore (University of New South Wales), Rob Hales (Griffith University), Rohan Hamden (Hamden & Assoc. ), Alana Hansen (University of Adelaide), Jeff Hansen (University of Western Australia), Scott Hanson-Easey (University of Adelaide), Phillip Haynes (BMT WBM), Craig Heady (CSIRO), Michael Hughes (University of Sydney), Christine Jacobsen (USC Research Fellow, Sustainability Research Centre, University of the Sunshine Coast, Australia), Marianne Jogo (James Cook University), Katrina Kelly (Griffith University), Catherine Knight (Byron Shire Council), Lene Knudsen (GROWCOM), Jacquelyn Lamb (Climate Risk Pty Ltd), Rebecca Lamble (Gippsland Shire Council), Neil Lazarow (CSIRO), Lyn Leger (BMT WBM), Anne Leitch (NCCARF), Alex Lo (University of Hong Kong), Andrea Lomdahl (City of Boroondara), Katrina Luckie (Summerland Credit Union), Karl Mallon (Climate Risk Pty Ltd), Supriya Matthew (Charles Darwin University), Marc McGowan (Department of Defence), Vanessa McGuiness (NACC NRM), Kathy McInnes (CSIRO), Lisa McKinnon (BMT WBM), Jennifer Metcalfe (Econnect), Didier Monselesan (CSIRO), Cath Moran (Cath Moran Ecological Consultancy), Dan Morton (Morton Environmental), Jane Muller (Senior Research and Policy Officer, Growcom), Jo Mummery (NCCARF), Daniel Murphy (Bega Valley Shire Council), Olivia Newman (Queensland Urban Utilities), Simon Niemeyer (University of Canberra), Barbara Norman (University of Canberra), Jonathan Nott (JCU), Melissa Nursey-Bray (University of Adelaide), Julian O’Grady (CSIRO), Lauren Oxlade (Wattle Range Council), Robyn Paice (Murdoch University), Jean Palutikof (NCCARF), Sam Pedram (Department of Defence), Ana Perez (NCCARF), Craig Perry (City of Cockburn), Lisa Petheram (Charles Darwin University), Robert Quirk (Farmer), John Rainbird (Torres Strait Regional Authority), David Rissik (NCCARF), Kerrylee Rogers (University of Wollongong), Verity Rollason (BMT), Nadiah Roslan (James Cook University), Tapan Sarker (Griffith University), David Schlosberg (University of Sydney), Lucy Sheehy (City of Joondalup), Mark Siebentritt (Seed Consulting Services), Fiona Silke (Loop & Co.), Michaela Skett (City of Boroondara), Tim Smith (University of the Sunshine Coast), Melanie Thomas (Northern Beaches Council), Dana Thomsen (University of the Sunshine Coast), Fahim Tonmoy (NCCARF), Stefan Trueck (Macquarie University), Chi Truong (Macquarie University), Dan Ware (Griffith Centre for Coastal Management), Phil Watson (Clarence City Council), Steven Webb (NCCARF), Tony Webb (Environmental Hydraulics Pty Ltd), Mark Western (Integrated Coasts), Emma Whittlesea (Plymouth University), Allison Williams (University of Southern Queensland), Russell Wise (CSIRO), Geoff Withycombe (Sydney Coastal Council Group), Eric Woehler (BirdLife Tasmania) and staff at Queensland Urban Utilities. Phil Allen (Cairns and Mackay Airports), Ross Andrews (Yarrabah ASC), Mark Baker-Jones (DLA Piper), Jon Barnett (University of Melbourne), Justine Bell-James (University of Queensland), Robyn Birkett (Mackay Regional Council), Alice Bleby (Department of Environment, Land, Water and Planning, Vic), Gene Brookes (Hope Vale ASC), Greg Bruce (Townsville City Council), Michael Bruvel (NT Environment Protection Authority), Bethune Carmichael (NT Environment Protection Authority), Colin Cedric (Yarrabah ASC), Phil Clark (Mackay Airport), John Clarke (CSIRO), Ron Cox (UNSW), Eileen Deemal-Hall (Wujal Wujal ASC), Callie Donaldson (Department of Environment and Primary Industries, Vic), Jon Doole (Kingborough Council), Chloe Dowsett (Byron Shire Council), James Duggie (Department of Environment Regulation, WA), Katie Eberle (Department of the Environment), Ian Eliot (Damara WA Pty Ltd), Matt Eliot (Damara WA Pty Ltd), Michelle English (Department of Environment, Water and Natural Resources, SA), Murray Erbs (Redland City), Simon French (Environment and Planning, ACT Government), Lucy Friend (North Queensland Airports), Ned Gardiner (NOAA), Robert Gibson (Moyne Shire Council), Ian Goodwin (Macquarie University), Katrina Graham (City of Hobart), Daniela Guitart (NCCARF), Kate Hadden (Tiwi Land Council), Heidi Hansen (Tassal), Nick Harvey (University of Adelaide), Katharine Haynes (Risk Frontiers), Alistair Hobday (CSIRO), Bailey Hoch (Cairns Airport), Peter Horton (National Committee on Coastal and Ocean Engineering of Engineers Australia), Alice Howe (Lake Macquarie City Council), Tony Huppatz (Planning Institute of Australia), Catherine Keirnan (Environment and Planning, ACT Government), Catherine Knight (Byron Shire Council), Lene Knudsen (Growcom), Dawn Lake (Yarrabah ASC), John Lane (Deptartment of Environment and Heritage Protection, QLD), Chris Lee (NSW Office of Environment and Heritage), Stephen Linnane (Hope Vale ASC), Kirsten Lovejoy (Department of Environment and Heritage Protection, QLD), Darryl Low Choy (Griffith University), Joanne Ludbrook (Peron Naturaliste Partnership), Jeremy Mansfield (Lend Lease), Stephen Martin (CEDA), Kristyn McCaskill (Warrnambool City Council), Shannon McGuire (Planning Institute of Australia), Janelle Menzies (Yarrabah ASC), Adrian Miles (Mackay Airport), Nerida Mitchell (Cairns Airport), Tim Mitchell (Redland City), Oliver Moles (Moyne Shire Council), Warren Mortlock (Department of Environment and Heritage Protection, QLD), Daniel Murphy (Bega Valley Shire Council), Carole Muzyk (District Council of Mallala), Kate Nelson (East Gippsland Shire Council), Nicola Nelson (Sydney Water), Lauren Oxlade (Wattle Range Council), Ian Patterson (Yarrabah ASC), Craig Perry (Peron Naturaliste Partnership), Susan Pond (University of Sydney), Tony Press (University of Tasmania), Shona Prior (Department of Premier and Cabinet, Tasmania), Liz Quinn (Kingborough Council), Peter Riseley (District Council of Robe), Pam Robinson (Consultant to LGANT), Ralph Roob (City of Greater Geelong), Fabian Sack (Sustainably Pty Ltd), Michael Sands (Yarrabah ASC), Lauren Schneider (Warrnambool City Council), Chris Sharples (University of Tasmania), Andrew Short (University of Sydney), Peter Smith (City of Holdfast Bay), Peter Smith (City of Salisbury), Frank Stadler (NCCARF), Victor Steffensen (Mulong), Ann Stewart (Lake Macquarie City Council), Annabelle Stewart (WALGA), Paul Stoller (Australian Sustainable Built Environment Council), Amber Sturges (Department of Premier and Cabinet, Tasmania), Roger Sweetman (District Council of Robe), Travis Sydes (FNQ Regional Organisation of Councils), Desmond Tayley (Wujal Wujal ASC), Con Theodoroulakes (City of Marion), Bruce Thom (Wentworth Group), Josh Thompson (Australian Local Government Association), Andrew Tipungwuti (Tiwi Land Council), Steve Turton (CQUniversity), Janice van der Zwaan (Cairns and Mackay Airports), Danielle Verdon-Kidd (University of Newcastle), Doug Vickery (City of Cockburn), David Wainwright (University of Newcastle), Elissa Waters (University of Melbourne), Hamish Webb (Department of Environment and Primary Industries, Vic), Tony Webb (National Committee on Coastal and Ocean Engineering of Engineers Australia), Jacquie White (MAV), Steve Willis (Cairns Airport), Russ Wise (CSIRO), Geoff Withycombe (Sydney Coastal Council), Kate Wood (Department of Environment and Primary Industries, Vic), Colin Woodroffe (University of Wollongong), Oiyu Yeung (NCCARF), Andrea Young (Planning Institute of Australia), Stephanie Ziersch (Department of Environment, Water and Natural Resources, SA). Wesley Bailey (Townsville City Council), Snow Barlow (University of Melbourne), Jon Barnett (University of Melbourne), Justine Bell (University of Queensland), Peng Bi (University of Adelaide), Dennis Bours (GEF Independent Evaluation Office), Ian Carruthers (NCCARF), John Clarke (CSIRO), Richenda Connell (Acclimatise Pty Ltd), Ron Cox (University of NSW), Leo Dobes (Australian National University), Matt Eliot (Damara Pty Ltd), Mark Gibbs (Queensland University of Technology), Ian Goodwin (Macquarie University), Jeff Hansen (University of Western Australia), Paula Harrison (Environmental Change Institute, University of Oxford), Nick Harvey (University of Adelaide), Kat Haynes (Risk Frontiers), Alistair Hobday (CSIRO), Chris Lee (NSW Office of Environment and Heritage), Martina Linnenluecke (University of Queensland), Karl Mallon (Climate Risk Pty Ltd), Gabrielle McCorkell (Mornington Peninsula Shire Council), Darren McEvoy (RMIT), Asher Minns (Tyndall Centre), Cath Moran (Cath Moran Ecological Consultancy), Jo Mummery (University of Canberra), Ravi Naidu (University of Newcastle), Nicola Nelson (Sydney Water), Patrick Pringle (UKCIP), Mike Raybould (Bond University), Kerrylee Rogers (University of Wollongong), Marcello Sano (Griffith University), Chloe Schauble (GBRMPA), Mark Siebentritt (Seed Consulting Services), Mark Stafford Smith (CSIRO), Rodney Stewart (Griffith University), Bruce Thom (Wentworth Group of Scientists), Kerry Turner (University of East Anglia), Steve Turton (James Cook University), Bob Webb (ANU), Penny Whetton (CSIRO), Stephen Williams (James Cook University), Russell Wise (CSIRO), Geoff Withycombe (Sydney Coastal Council), Paul Wood (Department of Geography, Loughborough University), David Wratt (National Institute of Water and Atmospheric Research, New Zealand).